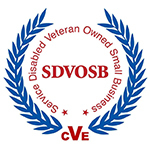 K2 Group was founded in 2004 as a Service-Disabled, Veteran-Owned Small Business (SDVOSB), by an experienced Special Forces operator who also holds an advanced degree in Information Security. The DNA of our firm is rooted in the Counter Terrorism and Intelligence Communities. Whether it’s providing the advanced intelligence needed for national security, training our soldiers and allies in the latest counter-IED techniques and procedures, or defending against cyber-attacks, K2 Group provides solutions that are critical to protecting America and our way of life. For every customer and every mission, K2 Group provides a unique perspective and successful outcome by combining our technical thinking and operational mindset. The security landscape facing government and industry today is vast. The threats never cease and our enemies never rest – and at K2 Group – neither do we. To aggressively solve critical challenges that impact the safety and security of the nation. K2 Group is dedicated to leveraging our unique capability of technical thinking and operational mindset to keep the nation safe and secure. In keeping with the Vision and Mission of our company, K2 Group has established a set of core values that reflect the convictions of management, the mindsets of our employees, and the obligation to our customers.